2016 is the first year I’ve taken part in the Reading Ahead Challenge. I’ve always been a bookworm and loved reading, but I’ve shied from getting involved in projects. However, I’m really glad I took the confidence to participating in the challenge – it was worth it! My first read was The Hunter, part of The Forbidden Game trilogy, by L.J. Smith. This is one of my favourite books because it is so tense and creepy, and the antagonist, Julian, perfectly encapsulates a repulsive yet intriguing character. The second book I read was The Bloody Chamber, a collection of Gothic short stories by Angela Carter. I didn’t really enjoy these because they were quite graphic and some had explicit sexual undertones, which I’m not accustomed to in my reading. Thirdly, I read Anna Karenina by Leo Tolstoy, a book I’d been meaning to read ever since I saw the 2012 film adaptation. This was my biggest achievement of all the six reads because it’s such a long novel! My favourite parts of the novel were the parts that focused on Anna Karenina herself – I wasn’t a fan of the sub-plot about Konstantin Levin. My final three reads were Great Expectations by Charles Dickens, Trainspotting by Irvine Welsh and The Adventures of Sherlock Holmes by Arthur Conan Doyle. I really didn’t enjoy Trainspotting because it was so difficult to understand and follow the narrative, and it’s theme of gritty modern social realism didn’t appeal to me. 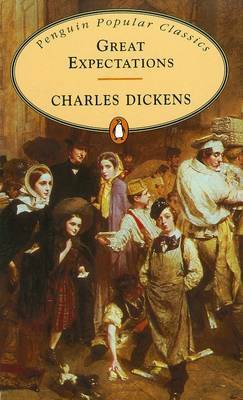 I preferred reading Great Expectations, another social realist novel, and this was really brought to life for me by the 2011 BBC adaptation I watched shortly after. I also really enjoyed reading the Sherlock Holmes stories because I liked piecing together the clues to try and solve the mysteries myself! I really liked the Reading Ahead Challenge because it motivated me to read more, and think more deeply about what I’d read, honing my evaluative and analytical skills. This is perfect for English students (like me) or others who just want to understand what they read a bit more. I look forward to reading and reviewing many more books!